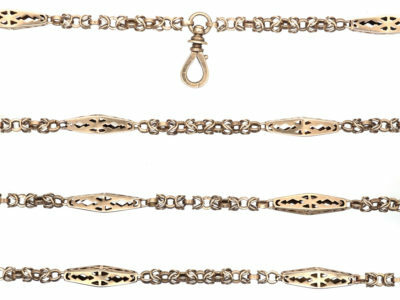 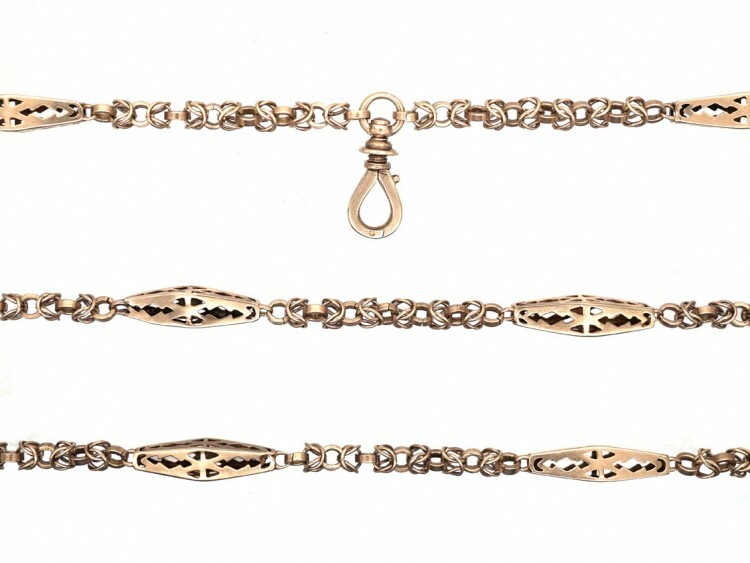 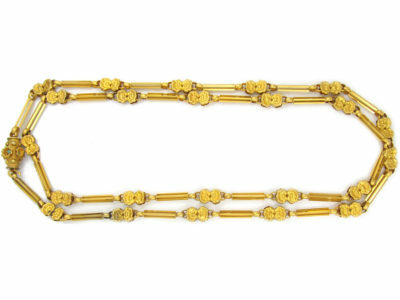 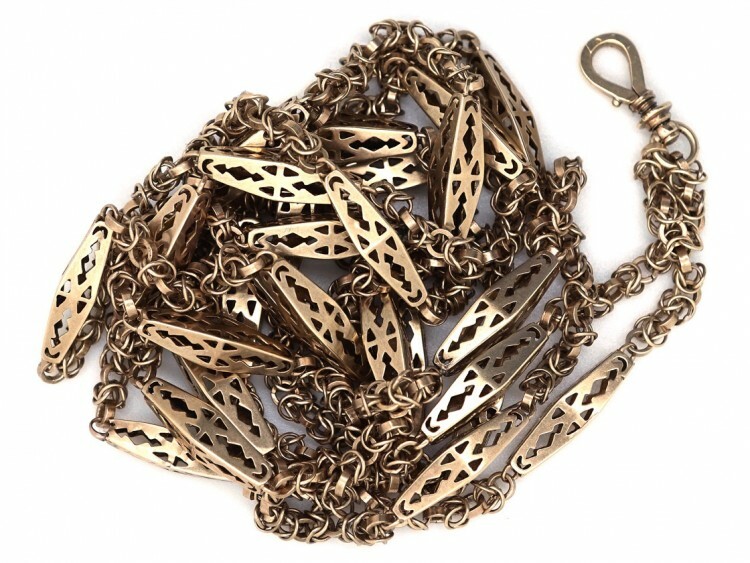 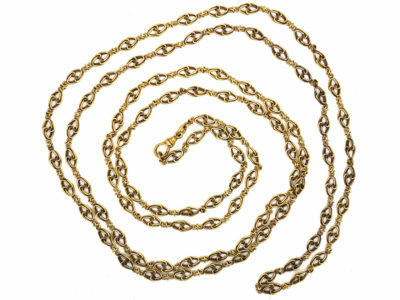 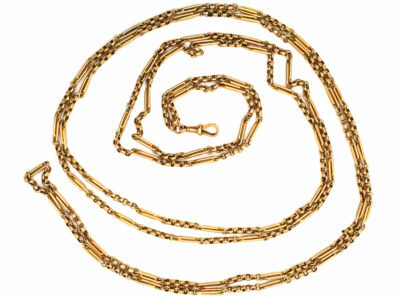 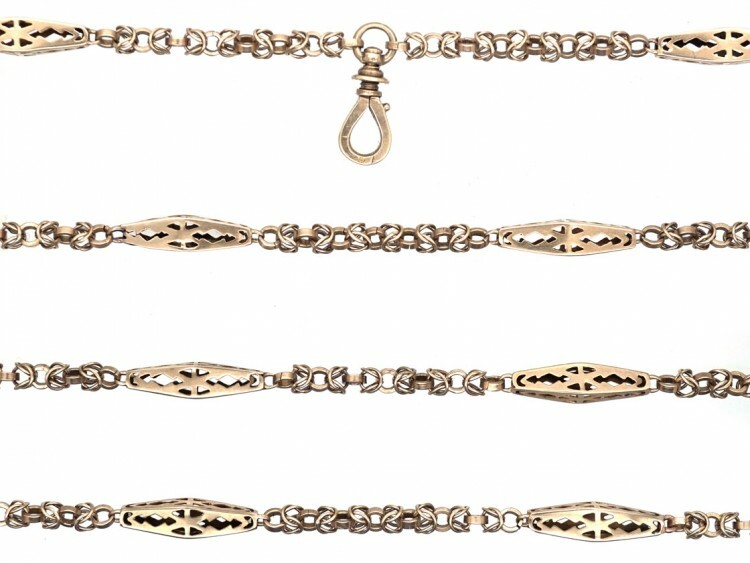 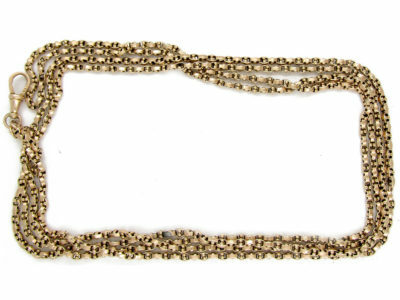 A good early 19th century guard chain that was made circa 1820-1840. 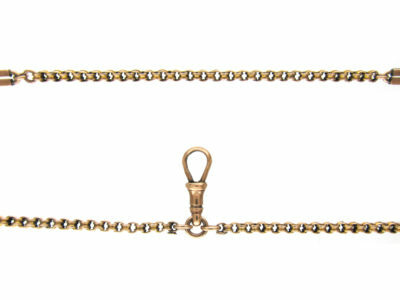 The dog clip has a secure screw mechanism. 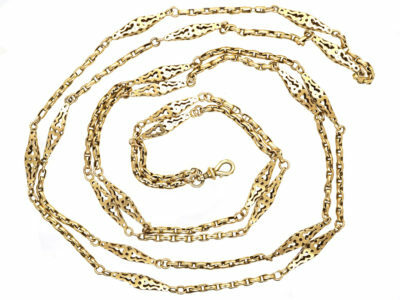 The chain is very detailed with hand made links and pierced lantern shaped sections. 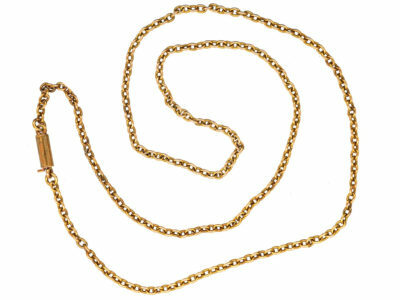 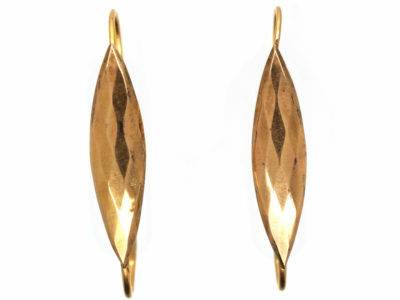 It can be worn single, double or treble around the neck so is very versatile!